One wet autumn evening in 1848, fifteen-year-old Mary Ann Gill stole out of a bedroom window in her father's Sydney hotel and took a coach to a local racecourse. There she was to elope with James Butler Kinchela, wayward son of the former Attorney-General. Her enraged father pursued them on horseback and fired two pistols at his daughter's suitor, narrowly avoiding killing him. 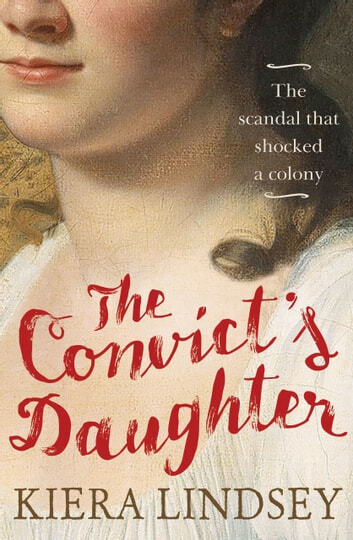 What followed was Australia's most scandalous abduction trial of the era, as well as an extraordinary story of adventure and misadventure, both in Australia and abroad. Through humiliation, heartache, bankruptcy and betrayal, Mary Ann hung on to James' promise to marry her. This is a compelling biography of a currency lass born when convicts were still working the streets of Sydney. Starting with just a newspaper clipping, historian Kiera Lindsey has uncovered the world of her feisty great, great, great aunt, who lived and loved during a period of dramatic social and political change.